The New Nuggetty Gully Alluvial Gold Workings is an excellent characteristic example of shallow mining for alluvial gold. The site has remnants of three different forms of mining - shaft sinkings, creek diversion and sluicing, and ground sluicing - associated with at least five house sites. The area was settled prior to mining by Swiss Italians and the house remains show distinctive architectural details pertaining to the Ticino region of Switzerland. The gully was opened in 1859 with gold seekers recovering some large nuggets. In 1860, the New Nuggetty Company constructed a creek diversion to work a large section of the gully. The water race was constructed during the mid 1865, and after about 1867, the gully was worked by fossickers. 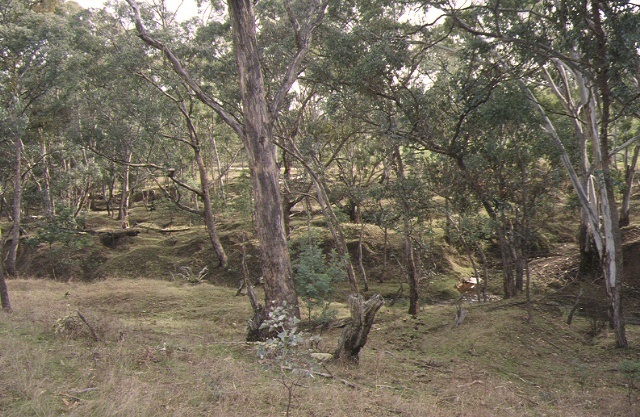 The New Nuggetty Gully Alluvial Gold Workings is of historical, architectural, archaeological and scientific importance to the State of Victoria. 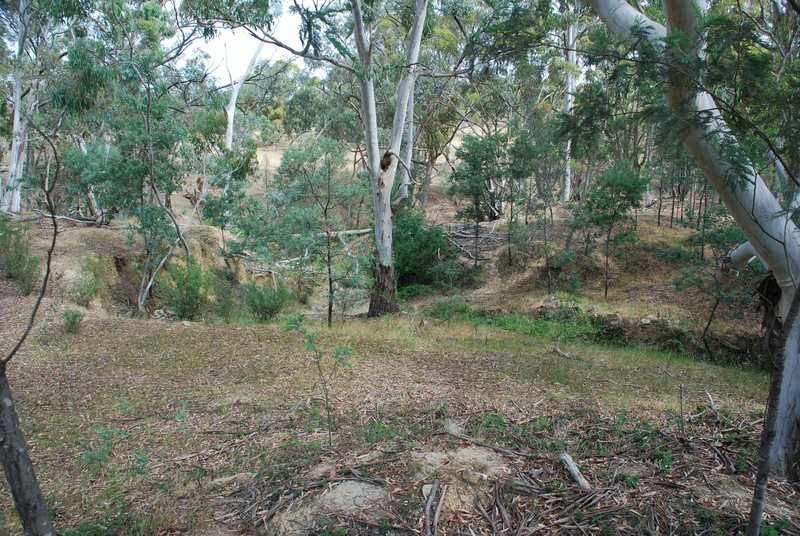 The New Nuggetty Gully Alluvial Gold Workings is historically and scientifically important as a particularly fine and essentially intact example of a site associated with the earliest forms of gold mining which, from 1851, played a pivotal role in the development of Victoria. New Nuggetty Gully is important because of the gold mining sequence documented by the surviving relics, and is also important for its low level of physical disturbance since the nineteenth century. The New Nuggetty Gully Alluvial Gold Workings is historically and architecturally significant for its unusual remnant fabric of Swiss Italian houses in the form of large stone fireplaces of a type common in the Swiss cantonment of Ticino but rare in Victoria. These remnants are socially important for their continuing association with the Swiss Italian community in the Daylesford area. The New Nuggetty Gully Alluvial Gold Workings is archaeologically important for its potential to yield artefacts which will be able to provide significant information about the cultural history of gold mining and the gold seekers themselves. New Nuggetty Gully Alluvial Gold Workings, Yandoit Creek-Werona Road, Yandoit, Mount Alexander Shire Council. 1. 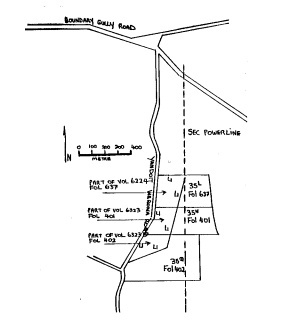 All of the land marked L-1 (including all of the remnants of buildings, creek bed alluvial workings, ground sluice workings, water races and any other archaeological relics, on Diagram Number 607523 held by the Executive Director of the Heritage Council. The land is part of the land described in Certificate of Title Volume 6323, Folios 401 and 402, and Volume 6224, Folio 637 being Crown Allotments 35N, 35Q and 35L, Section 2, Parish of Campbelltown. Grazing of cattle and sheep until the land is fenced off. crossing the sluiced land to the south of the bridge crossing. removal of fallen trees where necessary.